If we learned anything when Sirius XM's (NASDAQ:SIRI) Mel Karmazin announced the subscriber numbers early in January, it was that it is likely the used car market that is finally beginning to pay off. Certainly the company garners the bulk of their subscriptions from the new car market, but the used car market is finally the next catalyst for growth. During the fourth quarter there was nothing substantial or amazing about the sales and production figures. In fact, the leading (subscribers at production), and point of sale categories were both off from the high-point delivered in Q2 of 2011. In my opinion the big differentiators in the Q4 numbers was born from retention efforts, and used cars deals that are finally delivering meaningful numbers. Sirius XM has had Certified Pre-Owned (CPO) deals in place for quite some time, but the numbers simply did not move the needle in a substantial way. Now, with between 2,500 and 3,000 GM, Nissan, and Auto Nation dealers bring in unpaid promotional trial subscriptions on any used car (regardless of brand). It is likely that this segment delivered between 60,000 and 80,000 subscribers during the last quarter. Combined with heavy retention efforts, and Sirius XM beat guidance by 100,000 units. This week, we see the status in the used car channel remaining at about 45% penetration on what I would term as quality used cars. Early on in this process I am using a 1:1 ratio on quality used cars sold for every new car sold. This level of penetration enables Sirius XM to leverage the numbers to work in their favor. No longer is the used car segment an insignificant contributor. While it is still a little too early to determine what part of the success of last quarter is attributable to the used car channel, it is clear by statements made by the company that the used car channel was enough for them to use the term significant. What we do know is the new car sales and production numbers. Q4 of 2011 did not have the kind of numbers to deliver over 500,000 subscribers. Production levels were modestly lower on the biggest brands when compared to Q2, and point of sales partners were off by some 60,000 units. Yes, production was up year over year, but in tracking the category, note that the average month in 2012 produced 1.12 million while December saw production of 1.02 million (some 100,000 less than the average). The good news is that the used car segment can carry more meaningful growth in 2012 (on a percentage basis) than the new car channel. 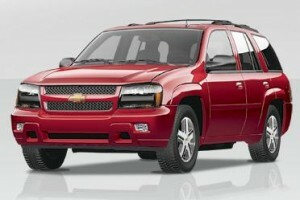 The consensus on new cars is that 14 million will sell in 2012. That is a nice 10% bump up from 2011. The REAL story is that the used car channel will deliver a second life to satellite radio receivers that might have otherwise been idle. The rise in the used car segment will be the difference maker in each quarter by up to 120,000 units in any given quarter. Until we can see the quarterly report from Sirius XM, we will not know the exact answer. So far though any reasonable person can see that the used car channel is finally paying off. This bodes well for the balance of 2012. Especially if Sirius XM brings more and more dealerships into the fold. As alaways, quality insight into the sub growth via OEM and used car market. I was very impressed with the 540K addiions in Q4. I would love to think that this was due to a “significant” impact from the used car market and I hope this is the case. However, my gut feeling is telling me that siri may have discounted grossly and also retained very cheaply or for free to get at least to Mel’s promised land of 1.6M new subs in 2011. We all know how big Mel’s ego is and I suspect that he may have sacrificed a lot to keep his word. I feel that additional 100K was too big of a jump without giving away way too much. Again, I hope I am flat wrong and my suspicions are not justified. We will definitely get a better idea after they release Q4 numbers in February. I did see heavy discounting in the quarter, but I think that at least a substantial chunk was the used car market. On the subject of cheap retentions, Mel is an advertising man. He first bought radio ad time and then sold it then moved on into radio management. The number of subscribers know produces more than 40 million listeners. That is an eye catching number in the ad business. With that increase in “ears”, ad rates go up and you are moving into the big retail advertisers as possible clients. In summary, Mel knows what he is doing. He may give up some dollars somewhere but will pick it back up elsewhere. I agree 100%. He may lose some on sub revenue but would recoup wholesomely on ad dollars eventually. His original promise to investors was to bring 10% of revenue in ad dollars. Again, his ego is pushing him hard to make good on his promise sooner rather than later. At this point it will be hard for ad revenue to reach 10% of revenue. They simply do not sell that many ads. Eventually!!! This was my wording. At this point it would be simply silly even to assume. But in the future with numbers reaching 30M+ subs it will be much more realistic. “The latest data from Polk confirms what we’ve seen on American roads for some time: the age of the cars and trucks we’re driving has hit an all-time high. Average age of 10.8 years in 2011 is hard to believe. I remember about a dozen years ago it was 7 years. Exactly right. The demand will soar at some point. Used Cars = no Pandora (or jacks) …. just SiriusXm ! An interesting perspective that I did not think about. True. No Pandora and the likes in older models. But the newer models will catch up although this is years from now. A used car with an inactive sat. radio pressents an opportunity for shareholders to gift SiriusXM to a realtive or loved one for their birthday, Christmas, or other events. You can by all means decide not to read an article. No one is forcing you to read. Some people want to knowe the nuts and bolts of the subscriber number because any potential this company has is predicated on getting subscribers. I do discuss the Liberty stake. The stock at $3.00 to $5.00???? Three is a possibility, but a tough road. Five is a long way off.